Crowell (foot/ankle) produced just 25 yards on 13 carries and caught his lone target for 13 yards in Sunday's 24-10 loss to the Bears. Analysis: Crowell struggled to find room on the ground, as Chicago was able to key on the run with New York shorthanded at the wide receiver position. Trenton Cannon added six carries and three catches out of the backfield, primarily operating on passing downs. Crowell's workload is game-flow dependent, so it could tick up in what should be a competitive Week 9 tilt against the Dolphins. Crowell (foot/ankle) was a full practice participant Wednesday, Manish Mehta of the New York Daily News reports. Crowell may see his role grow beginning with the Jets' Week 8 game against the Bears after Bilal Powell (neck) was placed on injured reserve Wednesday, Matt Stypulkoski of NJ.com reports. Crowell rushed 11 times for 29 yards and caught one of three targets for 21 yards in Sunday's 37-17 loss to Minnesota. Analysis: Crowell's quiet afternoon involved a botched handoff, though quarterback Sam Darnold was credited with the lost fumble. Like the Jets as a whole, Crowell has been maddeningly inconsistent. 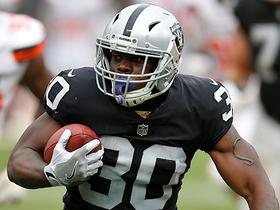 The former Browns running back has been held under 40 rushing yards in five of seven games, but he totaled 321 yards and three touchdowns on the ground over the other two contests. Use him at your own risk when the Jets fly to Chicago in Week 8, regardless of fellow running back Bilal Powell's (neck) status. Crowell (foot) is active for Sunday's game against the Vikings. Crowell (foot), who is listed as questionable for Sunday's game against the Vikings, is expected to play in the contest, Adam Schefter of ESPN reports. Analysis: Coach Todd Bowles labeled Crowell a game-day decision at the conclusion of the Jets' final practice of the week Friday, but the expectation is that the running back will be good to go if he completes his pregame routine without any setbacks. Crowell nursed an ankle injury heading into the Week 6 win over the Colts and was limited to 40 yards on 13 carries. Bilal Powell would see an enhanced role Sunday if Crowell's reps are restricted in any fashion. Crowell (foot) is listed as questionable for Sunday's game against the Vikings. Analysis: Per Manish Mehta of the New York Daily News, coach Todd Bowles views Crowell as a game-time decision for the contest. 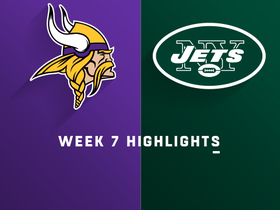 Fortunately for those considering either Crowell or Bilal Powell in Week 7 fantasy lineups, the Jets kick off at 1 p.m. EDT on Sunday. Crowell (foot) was spotted wearing a helmet at Friday's practice, Ethan B. Greenberg of the Jets' official site reports. Analysis: Crowell was seen at Thursday's practice but ultimately didn't participate, so it's difficult to gauge exactly what his presence on the field Friday means. It certainly bodes well for his chances of playing in Week 7 against the Vikings, but more clarity regarding his availability won't be known until the Jets release their final injury report later Friday. Crowell (foot) didn't participate in Thursday's practice, Darryl Slater of NJ.com reports. Crowell (foot) was on the field for the start of Thursday's practice, Rich Cimini of ESPN.com reports. 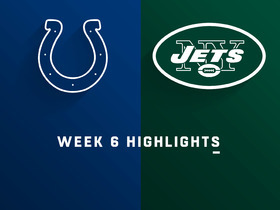 Analysis: Heading into the Jets' eventual Week 6 win over the Colts, Crowell was listed as questionable with an ankle injury, but he ended up playing and provided 52 yards from scrimmage across 15 touches (13 carries, two catches). The Jets will provide another update on Crowell's status after Thursday's practice, but if he ends up being limited at all Week 7 against the Vikings, Bilal Powell would be in store for added run out of the backfield. Crowell rushed for 40 yards on 13 carries and added 12 yards on two catches during Sunday's 42-34 win over Indianapolis. Crowell (ankle) is active for Sunday's game against the Colts. Analysis: Crowell only managed one limited practice throughout the week, but it won't stop him from taking the field Sunday. After rumbling for a franchise-record 219 yards in the Week 5 win over the Broncos, Crowell doesn't represent an under-the-radar play, but he could be in store for another productive day against a Colts defense missing two starters (Denico Autry and Margus Hunt) along the defensive line. Crowell (ankle), who is listed as questionable for Sunday's game against the Colts, is expected to play, Adam Schefter of ESPN reports. Analysis: Crowell, the AFC's leading rusher this season with 390 yards, missed a couple days of practice before returning to limited participation Friday. Though he doesn't appear to be fully healthy, it appears Crowell will be good to go a week after amassing a club-record 219 yards on the ground in the Jets' win over the Broncos. If Crowell's reps are at all limited in Week 6, Bilal Powell's role would grow. Crowell (ankle/questionable) is considered a game-day decision for Sunday's game against the Colts after logging a limited practice Friday, Eric Allen of the Jets' official site reports. 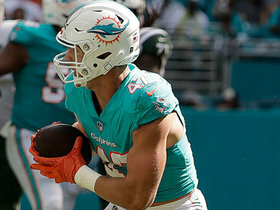 Analysis: Fortunately for those hoping to use the AFC's top rusher (390 yards) in Week 6 fantasy lineups, the Jets kick off at 1:00 PM ET on Sunday. If Crowell ends up limited at all or sitting out this weekend, Bilal Powell's role in the Jets backfield would be in line to expand. 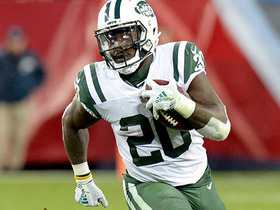 Crowell (ankle) was spotted with a helmet at Friday's practice, Ethan B. Greenberg of the Jets' official site reports. Analysis: Crowell did not practice the last couple days due to his ankle injury, but he will have a chance to get in some work Friday, which bodes well for his availability for Week 6. The Jets will reveal Crowell's official status for Sunday's game against the Colts when Friday's practice comes to a close. 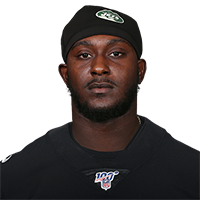 The Jets listed Crowell as a non-participant in Thursday's practice, Darryl Slater of NJ.com reports. Crowell (ankle) wasn't wearing a helmet or pads and appeared to be a spectator for Thursday's practice, Ethan B. Greenberg of the Jets' official site reports. Crowell didn't practice Wednesday due to an ankle injury, Darryl Slater of NJ.com reports. Analysis: It remains to be seen if Crowell's absence from practice is maintenance-related or if it's an issue that could affect his status for Sunday' s game against the Colts. Crowell is coming off a big outing in Week 5, during which he rushed for 219 yards and a touchdown on 15 carries in the Jets' 34-16 win over the Broncos. Crowell didn't appear to be practicing Wednesday, Connor Hughes of The Athletic reports. Analysis: With no reported injury setbacks in Sunday's 34-16 win over the Broncos, it's possible that Crowell is simply being rested for maintenance purposes during the Jets' first practice of the week. Crowell was the NFL's top rusher in Week 5, amassing 219 yards and a touchdown on 15 carries. Crowell rushed for 219 yards on 15 carries during Sunday's 34-16 win over Denver. He added a 12-yard catch during the contest. Crowell gained zero yards on four carries and caught his lone target for three yards in Sunday's 31-12 loss to Jacksonville. 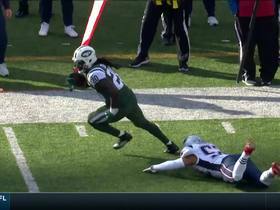 Analysis: Crowell couldn't get anything going on the ground and was tackled in his own end zone for a safety in the third quarter. 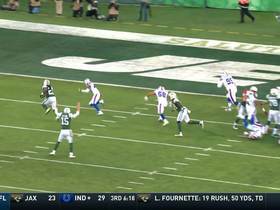 He was out-touched 12-5 by Bilal Powell in this one, which is right in line with the expected distribution of touches when New York faces an early deficit. Crowell's owners will be hoping the team doesn't fall behind early against Denver in Week 5. Crowell rushed 16 times for 34 yards and two touchdowns and brought in two of three targets for 17 yards in the Jets' 21-17 loss to the Browns on Thursday. 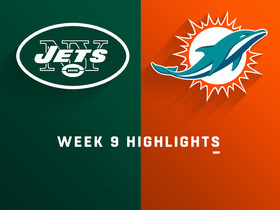 Crowell rushed 12 times for 35 yards and caught two of three targets for four yards in Sunday's 20-12 loss to Miami. 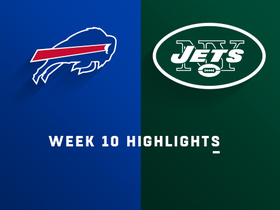 Analysis: Crowell got 12 carries to Bilal Powell's five, but Powell scored New York's only touchdown of the contest on a 28-yard catch. The two should continue to split work, with Crowell used mostly to pound the rock with the lead and Powell playing more in passing situations. Crowell rushed 10 times for 102 yards and two touchdowns in Monday night's 48-17 win over the Lions. Analysis: Crowell and Bilal Powell took turns in the Jets backfield, and although both players fared well, it was Crowell who made the bigger impact. The offseason signing opened New York's scoring with a six-yard touchdown scamper during the first quarter, then exploded for a 62-yarder on his second trip to pay dirt. Those contributions made for a marvelous debut and should give Crowell confidence ahead of Sunday's home opener against the Dolphins. Crowell (undisclosed) is not listed on the Jets' Week 1 injury report. Crowell (undisclosed) is just "sore" and will be ready for Week 1, per coach Todd Bowles, Connor Hughes of The Athletic New York reports. Crowell (undisclosed) is not practicing Monday, Connor Hughes of The Athletic New York reports. Analysis: Crowell carried four times for six yards and caught both of his targets for 18 yards in Friday's preseason game versus the Giants, but it looks like he's currently either banged up or under the weather. Assuming he bounces back quickly, Crowell and Bilal Powell figure to form a committee arrangement atop the Jets' RB depth chart to being the season, with the 5-foot-11, 225-pound Crowell potentially gaining traction on early downs while Powell makes more of a dent in passing situations. Crowell rushed four times for six yards and caught both of his targets for 18 yards in Friday's 22-16 preseason loss to the Giants. Crowell is expected to see action in Friday's preseason game against the Giants, Eric Allen of the Jets' official site reports. Crowell has been cleared from the concussion protocol, Manish Mehta of the New York Daily News reports. Analysis: Crowell returned to individual drills Saturday and seems to be back in team drills Monday. He suffered the concussion during New York's preseason opener, subsequently missing last week's exhibition against the Redskins. Crowell should be back for Friday's preseason game against the Giants to split first-team backfield work with Bilal Powell. Both running backs got a slight value bump when Elijah McGuire had foot surgery at the end of July. Crowell (concussion) participated in individual drills at Saturday's practice, Andy Vasquez of The Bergen Record reports. Analysis: Crowell suffered a concussion during the Jets' preseason opener against the Falcons and his been sidelined since. His presence at practice, albeit in a limited capacity, indicates he is trending toward a return. With Elijah McGuire (foot) also sidelined, Bilal Powell has been functioning as the team's top back. Crowell (concussion) won't suit up for Thursday's preseason game against the Redskins, Rich Cimini of ESPN.com reports. Analysis: Crowell remains in the NFL's concussion protocol after he was confirmed to have suffered the head injury in the Jets' exhibition opener. With Elijah McGuire (foot) also sidelined, Bilal Powell will function as the Jets' clear top back Thursday, though he'll likely have his reps limited along with most members of the first-team offense. Coach Todd Bowles confirmed that Crowell suffered a concussion during Friday's preseason game against the Falcons, Rich Cimini of ESPN.com reports. Analysis: The Jets are without three running backs at the moment: Crowell for an undetermined amount of time, Elijah McGuire (foot) through at least mid-September and Thomas Rawls with an unknown injury. There's no telling when Crowell will gain clearance for practice or games, but Bilal Powell is the clear-cut No. 1 back at the moment in New York, with Trenton Cannon acting as the top healthy reserve option. Crowell left Friday's preseason game with a possible concussion, Brian Costello of the New York Post reports. Analysis: He's being evaluated and is unlikely to return the game. Crowell has been an ironman since entering the league, playing 16 games in each of his first four seasons. The 25-year-old is battling Bilal Powell for the starting job. Crowell views himself as a three-down back, but the New York Post's Brian Costello thinks both Bilal Powell and Elijah McGuire will play sizable roles at running back as well. Analysis: Crowell got a career-high 206 carries with the Browns last season, but he ceded the majority of pass-catching duties to Duke Johnson and finished with a mere 182 yards on 28 receptions. Costello believes both Powell and McGuire are better receivers out of the backfield, so the 25-year-old Crowell is likely to find himself without a three-down role in his new location as well. That being said, Crowell is still the favorite to lead New York in production on the ground. Crowell's deal with the Jets is for three years, with a maximum value of $12 million, NJ.com reports. Analysis: Per the report, Crowell is fully guaranteed $4 million, which seems reasonable for the physical back, who will help fill the void created by the retirement of Matt Forte. With the Jets, Crowell is in line to work in some form of time-share with Bilal Powell, with second-year back Elijah McGuire also on hand. The Jets are in line to sign Crowell to a three-year contract, Adam Schefter of ESPN reports. Analysis: The deal won't be official until the new league year kicks off Wednesday, but the Jets will effectively exchange Matt Forte, who recently retired, for Crowell. In four seasons with the Browns, Crowell increased his carry count each year and was a passable receiver, boasting career marks of 4.2 yards per rush and a 73.3 percent catch rate. As the Jets backfield currently stands, Crowell will vie with Bilal Powell and Elijah McGuire for RB reps in 2018. Crowell, who rushed 15 times for 21 yards during Sunday's 28-24 loss to the Steelers, finished the 2017 campaign with 853 rushing yards and two touchdowns on 206 carries. Analysis: Many were expecting a breakout year for the 24-year-old back, but for the fourth consecutive year, Crowell failed to rush for 1,000 yards. Crowell is set to become an unrestricted free agent this offseason, and it's unlikely he'll return to Cleveland. He clashed with coach Hue Jackson on multiple occasions about his use in the offense, and he may want to find greener pastures in 2018. Crowell (shoulder/ribs) doesn't have an injury designation for Sunday's game at Pittsburgh, Nate Ulrich of the Akron Beacon Journal reports. Analysis: Crowell has been afflicted by shoulder injuries at various points this season, but his consecutive game streak is intact since entering the NFL in 2014. His workload has remained consistent as well, as evidenced by him handling 45 percent of the offensive snaps in 11 of 15 games. Expect Crowell to receive his typical 14.6 touches per game Sunday against a Steelers defense that has given up 141.1 yards from scrimmage per outing and 12 touchdowns to running backs in 2017. Crowell (shoulder/ribs) was a limited participant in Wednesday's practice, Nate Ulrich of the Akron Beacon Journal reports. Analysis: This is the fifth time in the last seven weeks Crowell has been listed with a shoulder injury, but the issue with his ribs appears to be new. Regardless, his ability to practice in any capacity suggests he's on track to play in Sunday's game against the Steelers. Crowell carried 12 times for 44 yards and caught one pass for minus-1 yard in Sunday's 20-3 loss to the Bears. Crowell (shoulder) does not carry an injury designation for Sunday's game against the Bears after practicing fully Friday. Analysis: He's thus in line to head the Browns running attack this weekend, with Duke Johnson on hand to work in a complementary role that yields enough touches for him to be in the PPR conversation. For his part, Crowell logged just five carries in the Week 15 loss to the Ravens, but one of them was for 59 yards. Crowell's volume has often been impacted by game flows in an 0-14 season, but we'd expect him to log more touches in Week 16, as he looks to find the end zone for the first time since Nov. 12. Crowell (shoulder) was a limited participant in Wednesday's practice, Mary Kay Cabot of Cleveland.com reports. Analysis: Crowell's shoulder previously landed him on the injury report Weeks 11-13, but he didn't miss any games and received at least 11 touches in every contest during that stretch. His ability to practice in any capacity Wednesday suggests he should be fine for Sunday's matchup against a Chicago defense that's held running backs to 4.1 yards per carry, 95.9 rushing yards per game and eight touchdowns on the ground. Crowell carried the ball five times for 72 yards and caught all four of his targets for minus-seven yards during Sunday's 27-10 loss to Baltimore. Crowell took 19 carries for 121 yards and caught all three of his targets for 10 yards in Sunday's 27-21 overtime loss to the Packers. Crowell rushed 10 times for 41 yards during Sunday's 19-10 loss to the Chargers. He also caught his lone target for three yards. Analysis: Coming off his best game of the season in Week 12, Crowell saw his carries take a dip against the Chargers, as his 10 attempts were his lowest total since Oct. 1. Despite his lack of touches, the 24-year-old averaged 4.1 yards per carry, but without finding the end zone or being involved in the passing game, Crowell had an overall lousy game in terms of fantasy production. He'll look to bounce back next Sunday versus Green Bay. Crowell (shoulder) put in a full practice Friday and doesn't carry an injury designation into Sunday's game against the Chargers. 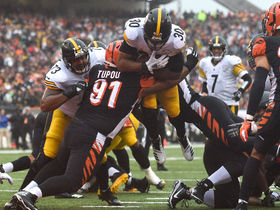 Analysis: The full practice, which came on the heels of limited sessions Wednesday and Thursday, was all Crowell needed to convince the Browns he would be good to go for the Week 13 matchup. Crowell, who rolled to a season-high 95 yards on 16 totes in last week's loss to the Bengals, should have a decent chance on building on that performance against a Los Angeles squad that has allowed 4.9 yards per carry in 2017. Crowell (shoulder) was a limited practice participant Wednesday, Nate Ulrich of the Akron Beacon Journal reports. Analysis: Crowell likely will follow the same pattern as the past two weeks, logging limited sessions Wednesday and Thursday before returning to full participation Friday. Unless he ends up missing a practice entirely, there won't be much concern regarding his availability for Sunday's road game against the Chargers. Crowell will take aim at a defense that's allowing 4.9 yards per carry, though he'll have a hard time taking advantage if Cleveland gets blown out. Crowell carried the ball 16 times for a season-high 95 yards during Sunday's 30-16 loss to the Bengals. He also caught one of two targets for 10 yards. Analysis: Crowell finally looked like the breakout player people were expecting him to be Sunday, posting a season-best 5.9 yards per rush, which included a 27-yard run -- his longest scamper of the year. The 24-year-old has just 554 yards on the ground and two touchdowns but he's posted 90 rushing yards or more in two of the last three games, as he may be finally ready to turn his season around. He'll look to keep it going against the Chargers next Sunday. Crowell (shoulder) doesn't have a designation in advance of Sunday's contest at Cincinnati, Nate Ulrich of the Akron Beacon Journal reports. Analysis: For the second week in a row, Crowell's practice reps were managed as he nursed a shoulder injury. After a limited/limited/full regimen again, he should be good for his typical 13.7 touches per game against a Bengals defense that has allowed 144 yards from scrimmage per contest and seven touchdown to running backs in 10 games this season. Crowell (shoulder) was limited at Wednesday's practice. Analysis: Crowell played through the same injury in Sunday's 19-7 loss to the Jaguars but was held to 18 yards on 11 carries. He'll face another tricky matchup Sunday against the Bengals, assuming he's able to play with a sore shoulder again. Crowell carried 11 times for 18 yards in Sunday's 19-7 loss to the Jaguars. Analysis: While the Jaguars were able to generate 139 yards on 44 carries in frigid weather conditions Sunday, per the Cleveland Plain-Dealer, Crowell was bottled up by Jacksonville's defense, with his longest carry going for five yards. He'll look to bounce back on the road against the Bengals next weekend, a plausible outcome, given that the 5-foot-11, 225-pounder approached Week 11 action on the heels of back-to-back solid efforts, in which he combined for 27 carries for 154 yards and two TDs. Crowell (shoulder) practiced fully Friday and was left off the Browns' injury report heading into Sunday's game against the Jaguars. Crowell (shoulder) was a limited participant in Thursday's practice. Crowell (shoulder) was limited at Wednesday's practice, Nate Ulrich of the Akron Beacon Journal reports. Crowell rushed 16 times for a season-high 90 yards and scored a touchdown during Sunday's 38-24 loss to the Lions. He also hauled in one of two targets for five yards. Analysis: Not only did the 24-year-old find pay dirt for the second consecutive game, he also finished with his highest rushing total of the season with 90 yards. His longest run of the day came on a 21-yard scamper and later scored on a six-yard dash to the left side. Crowell still hasn't hit the century mark in a game this season, but his increased workload is encouraging going forward. His production should only rise as quarterback DeShone Kizer continues to improve.